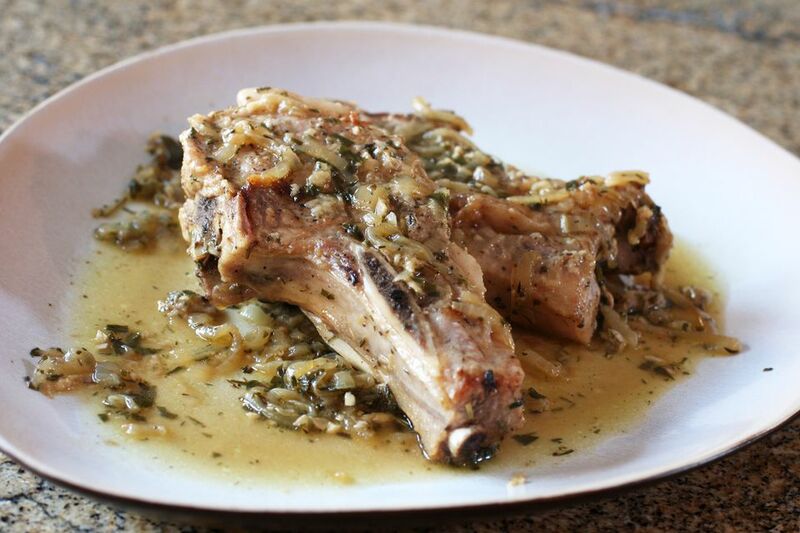 These delicious pork chops are easy to prepare and simmer on the stovetop. Serve herb and garlic pork chops with mashed potatoes or rice pilaf and spinach, or choose your favorite vegetable side dish. An electric skillet can also be used to cook these pork chops. Heat the olive oil in a large skillet or sauté pan over medium heat. Add onions and saute, stirring, until lightly browned. Meanwhile, sprinkle the pork chops with salt and pepper and dust with flour. Add the pork chops to the skillet and brown on both sides, about 4 minutes on each side. Add the garlic, herbs, chicken broth, and butter; reduce heat to low, cover, and simmer for 25 minutes. If the pork chops are very thick, simmer for 5 to 10 minutes longer.